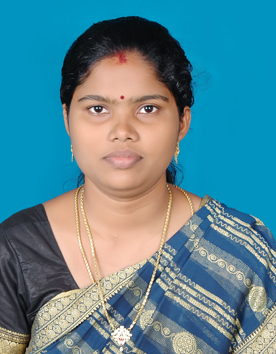 Dr. K. Subapriya completed her M. A., M.phil., PhD in regular from University of Madras. She is currently affiliated to Pachaiyappa’s College, Chennai as Assistant Professor. Her area of specialization is multi ethnic literature and Indian writing in English. She is interested in bilingual poetry writing, creative writing and translation. She serves as an editor for International journal like Indian Review of World Literature in English. Recently she has completed her PGCTE course in EFLU (Hyderabad). She is very active in presenting papers and chairing sessions in conference. She has presented papers in many National and International conference. To mention a few she has presented a paper in University of Putra, Malaysia, Jadavpur University, Acharya Nagarjuna University and Anna University etc. She has published papers in many National and International Journals like The Context, Literary Criterion, Research scholar e-journal, New man publications and Roots etc. She has co-authored a book titled Essays in Global literature and the book launch was conducted in University of Madras. Prof. Artemis Preesheel, Loyola University, New Orleans launched and presented a review of the book. Recently also edited and published another book titled Animal Ethics in Literature. She serves as the Editor of IRWLE (ISSN Journal). She acts a resource person for placement cell and Refresher courses held at university of Madras. She also serves as a resource person in workshops. In the field of research she guides M.phil and PhD scholars with great enthusiasm. She acts as a panel member in assessing M.phil and PhD Thesis.